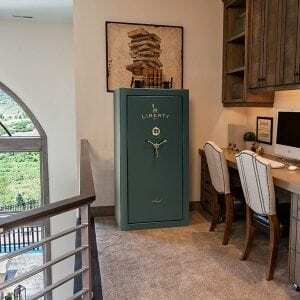 Liberty introduces one tough entry level safe-The USA Series. 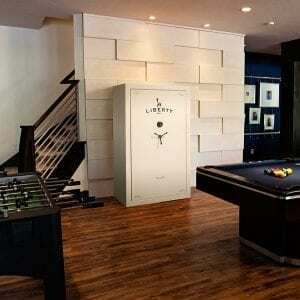 Built right here in America, the USA series was recently tested against the competition by dropping a 1000 pound block of cement on top of each safe. Check out the results by viewing the video below. Toughness is built in with Liberty’s newest defense system, our Patent-pending 4-inch wide Military Style Locking Bars coupled with Liberty’s engineering marvel–the 2-piece roll form body–and you have one tough safe! 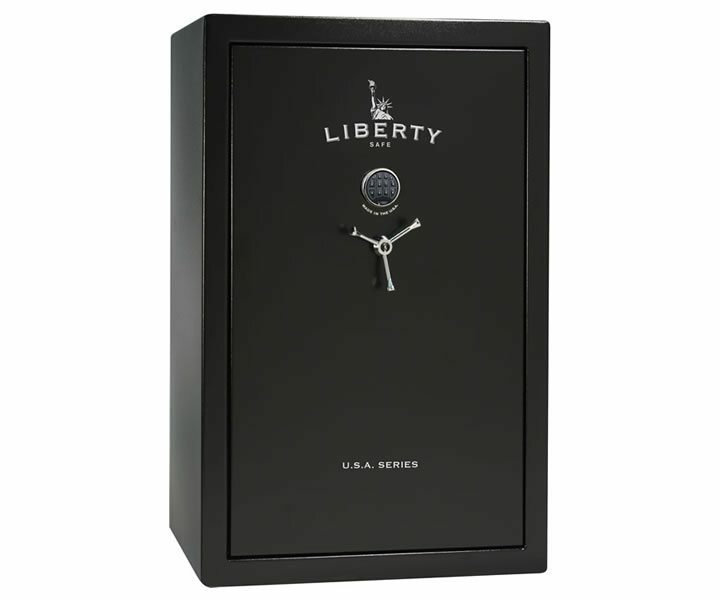 These American made gun safes are available in 3 sizes–the 23, 30 and 48–with textured black powder coat finish and New TopLit SecuRam E-lock. 3-in-1 flex interior and economy door panel offers extra storage capacity. 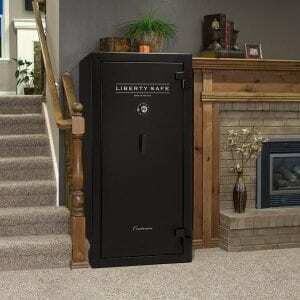 Liberty’s heavy-duty gun safes include 30 minutes of fire protection. The USA Series is one tough safe at an affordable price. 2-piece roll form body along with 4-inch military style locking bars qualifies it as one of UL’s Residential Security Containers (RSC). Installed with a quality TopLit SecuRam E-lock with red LED lights for better night time vision. 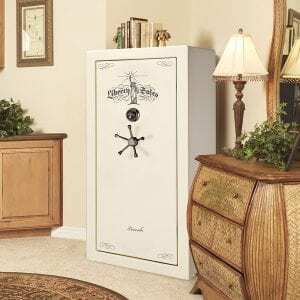 These American made gun safes feature 30-minutes of fire protection, economy door panels and 3-in-1 Flex Interiors that are installed to provide peace of mind and flexibility for your valuables.